Jami Hanreddy and friends. Photo by Steve Brandt. Jami Hanreddy is the featured poet in the UU Fellowship’s Dickinson Poetry Series on Dec. 12, 7 pm. Hanreddy first came to Door County in 1993 when she and her husband were invited by Fred Alley to come and hear what American Folklore Theater (now called Northern Sky) was all about. Hanreddy had been a language arts/English teacher for most of her career and authored several books for English Language Learners. 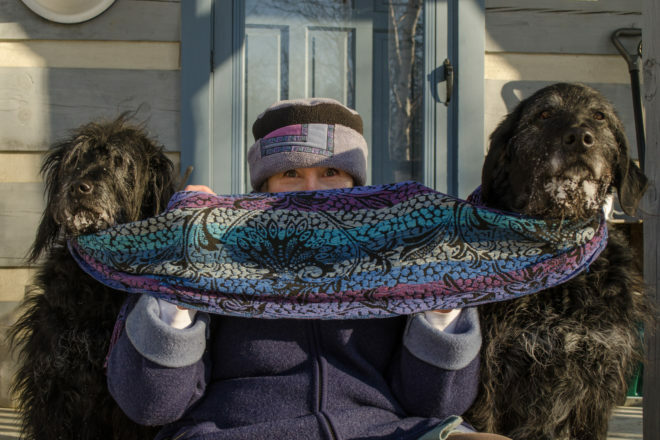 Before becoming a “full-timer” in Northern Door in 2010, she had taught many students to find their own voices in their writing, but realized that up until then she had not really given much time or thought to finding her own. It took a few more years to really believe that poetry might be just the vehicle she needed. After four years or so, she has a file full of poems that she has been encouraged to put into a chapbook. To make it a bit more fun, she will try to have some slides to accompany the poems. Audience members might be asked to help her choose a title for her chapbook. An open mic and reception will follow her reading. The public is welcome and there is no charge to attend. 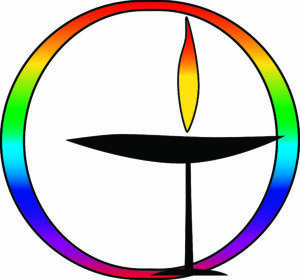 The Unitarian Universalist Fellowship is located at 10341 Hwy 42 in north Ephraim. For more information, call 920.854.7559.